Did someone say an extra £100 on trade-in and unbeatable Price Promise? The Samsung Galaxy S9/S9+ has arrived, and it’s a thing of beauty. The bezel-less Infinity Display is back, and it’s brighter and more colourful. There’s a new dual aperture camera that’s brilliant in the dark. You can shoot videos in super slow-mo. And if you want to turn yourself into an animated cartoon character, you can do that as well. At Carphone Warehouse, everyone can upgrade with us - even if you bought your last smartphone directly from your network or manufacturer. Our online eligibility checker is a great place to find out when you’re due an upgrade. And we’ll even alert you the moment you’re ready, if it’s not quite time yet. Our Price Promise is a win-win for everyone. We’re confident you won’t find a better price than ours on the high street. So much so, that if you do find a lower price, we’ll match it and pay the first month of your new contract. By comparing thousands of deals offered by a range of networks, we’re able to find the best price and plan for you. It’s part of our Pin Point programme, which asks you five simple questions to determine how you use your phone. Trade-in your old phone at Carphone Warehouse, and we give you cash to spend on anything you like. If you’ve got a problem with any of your technology, Team Knowhow is on hand to sort it out. Whether you’re looking for insurance, support, replacement tech or repairs, the team is available in-store, online, or over the phone. Give them a call on 0800 049 0221. As standard, we offer free next-day delivery on all items over £50 ordered before 5pm on weekdays. We’ll also give you a 15-minute delivery slot, so you don’t have to hang around at home all day, waiting for the postman to turn up. If home delivery isn’t for you, we offer a click and collect service too. Choose your order online, and then pick which store you’d like it delivered to. With over 1,000 stores nationwide, there’s always one nearby. Of course, this also gives you the opportunity to ask any tech-related questions to our in-store colleagues. Get the latest Galaxy every year with flexible leasing at Carphone Warehouse. You’ll rent the phone rather than owning it, and you can switch up to a new model after 12 months. Best of all, your phone isn’t locked to a network – so you’ll be able to use it with any network and plan. 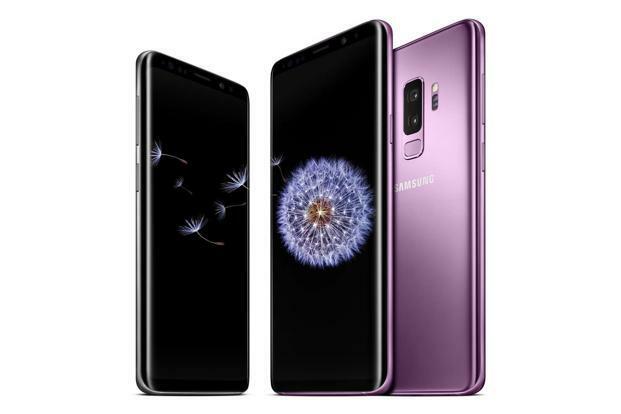 You can order the Samsung Galaxy S9 or S9+ at Carphone Warehouse right now. As you can see above, you’ve got lots of great reasons to shop with us. If you've got any questions on buying the Samsung Galaxy S9 or the bigger S9+, pop into any Carphone Warehouse store and ask a colleague for advice. Or if you'd prefer, post a question and we'll do our best to answer it. What would you do with £152?